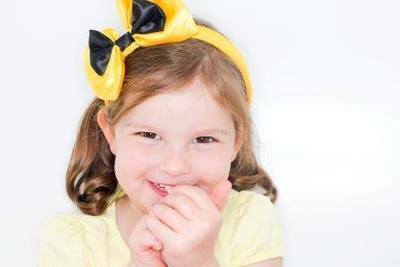 Children's photography - so many options, never fear just look here! We all love to get the illusive perfect photo of our children, however just walking through the shops can be stressful and confusing. I am often confronted with a barrage of insincere compliments like 'oh she's gorgeous, how old is she?' from a variety of different children's photographers. I explored all the options available with my eldest daughter and while it hurt the back pocket at the time, I don't regret it for one second. The photo's we have are priceless - but I feel that it did put me in a position to spare other parents the time, money and effort in comparing the options. We have all been caught at the shopping centre with an over-zealous sales person and been bombarded with barrage of insincere compliments about our children. You know the photo booths I am talking about. They are the ones who dress your children up in costumes and take 3 separate images, all posed. They then ask you to return a week or 2 later and present you with pre-printed images, which gives the underlying expectation that you plan to purchase to whole package. How would you feel, if I told you that I have found a children's photographer that blow the above stereotype out of the water? Introducing FLASH by Morffew. FLASH offers fast, fun and contemporary family portraiture at a price everyone can afford. And the best part is, you can buy the digital files and there is no pushy sales pitch. 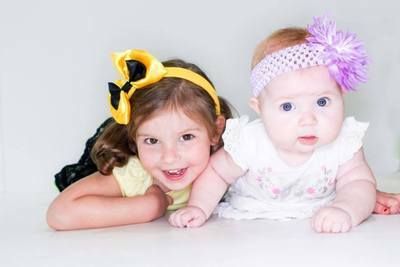 FLASH is great for busy mums who want a fast and fun-filled photo shoot of their children. It’s for dads who want to browse, select and download images in the comfort of their home. FLASH is for anyone who has always wanted to have beautiful professional photos and have the freedom to print, create and share them their own way. With FLASH, all of your purchased images are stored online in your account, but can also be downloaded and saved to your computer to print, email to family and friends, share on social media, transfer to your mobile or tablet. Basically, you have control over how, when and where your images are shared and/or printed. 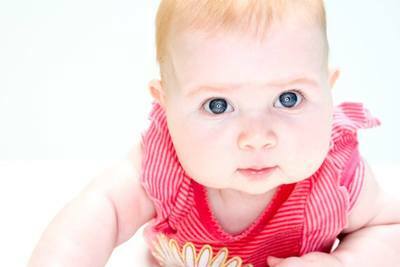 Style of photos: Natural images in plain clothing, the focus is soley your child, no costumes or props. They take a variety of images on different block coloured backdrops including blue, yellow or white. FLASH photographers will select and edit the best 20-30 images from your shoot. At the time of the shoot, the photographer will send you an email to enable you to set-up an online account. Within 24 hours of the shoot, you will be able to view the high-resolution gallery online. Your images will be available to purchase for 7 days. When you purchase an image, you simply download the digital file to your computer. You then own the rights to that photo, which means you can choose to share the image online, if you wish and organise for the image to be printed independently of the photographer. Individual images are available for $35 each or you can purchase the entire gallery for $299. Please note, prices are subject to change. FLASH also offer a range of cool and contemporary products to showcase your FLASH images. Their exclusive range of acrylic products are the perfect way to display your photos, or a unique gift for friends and family. You can check out their range here. Next time you would like updated photo's of your children, why not give FLASH a try - I guarantee, you will not be disappointed.